Aside from buying a bunch of bricks and mortar to live inside, the most expensive thing you will (probably!) ever buy is a new car. It doesn’t matter whether you go for a middle-shelf BMW or a Range Rover Velar with all the trimmings – cars cost a few stacks of cash, which is why you’ll want to make sure your motor lasts as long as physically possible. Now, we’re not doctors or anything like that, but we know eating fruit, veg and salads every now and again are good for your body, as is the occasional spot of exercise. Well, the same philosophy will keep your car running for many a year to come. In the same way you would love to blow out a hundred candles on a birthday cake, you’ll get an incredible sense of satisfaction from owning a car that hits 300,000 miles on the speedometer. Believe it or not, most drivers think a quick car wash is all about making their motor sparkle like the first star at dusk. But it’s not all about aesthetics. 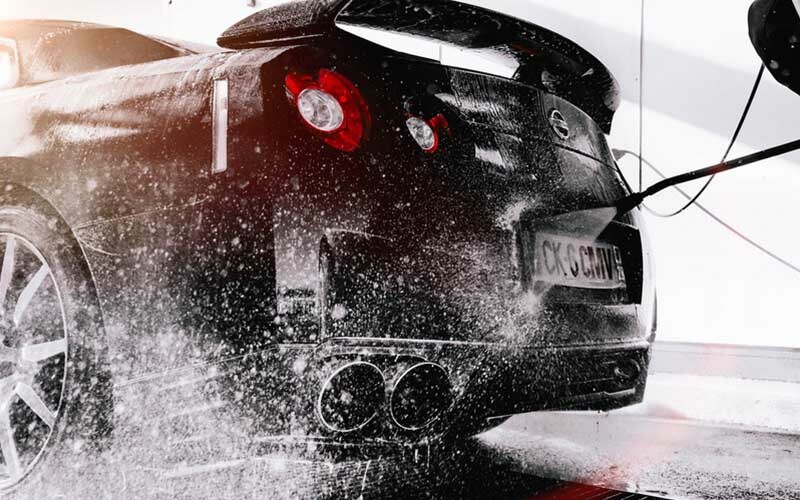 In fact, the biggest benefit of a regular wax and wash is making your car last a whole lot longer. If you don’t wash your car, all the foreign bodies in the air will start to collect onto the body, chomp through the clearcoat, oxidize the paint and cause your car to rust and, trust us, rusty cars don’t live long lives (especially if the rust goes beyond the paint and deep into the metalwork). It’s even more necessary if you live by the sea because salt rots stuff. Every car comes with a maintenance booklet, owner’s handbook and service schedule for a reason. They’re too long for anyone to have done that for a bit of fun. That’s why you should read these every so often. Find out when your car needs a checkup, an oil change, timing belt replacements and all that. Another thing you should do is take your car to someone who knows your car. If you have a BMW, then take it to a BMW service specialist. If you have a Tesla, go to a Tesla nerd. So on and so forth. While all cars are fundamentally the same, these people are trained in your car specifically. That’s a good thing. 3. Look, Squeeze, Check, Repeat. As a car owner, doesn’t it make sense that you get clued up on the very basics of car maintenance? We don’t mean knowing how to change a clutch or anything like that. But you need to get familiar with your engine bay, the components of the engine and the bits under the hood. This will help you make a diagnosis yourself and make it quickly, which is often the secret to saving your cars hopes of longevity. As a starting point, know what the major parts of your engine bay are, know what to look for when squeezing your drive belts and know how to check the engine fluids. It will help you out big time.